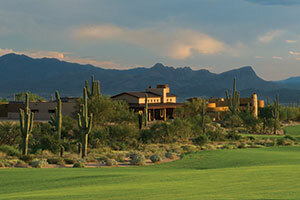 Dove Mountain is home to three distinct golf clubs with some of the best golf courses in Arizona. Imagine stepping out your back door and onto a Jack Nicklaus designed fairway or walking from your front door to the first tee box. New golf course homes are available with views of the 27 hole course at The Golf Club at Dove Mountain and the two 18 hole courses at The Gallery Golf Club. Both The Golf Club at Dove Mountain and The Gallery Golf Club hosted The World Golf Championships Accenture Match Play Championship and offer a unique and challenging experience for those new to the game and those who’ve played for years.